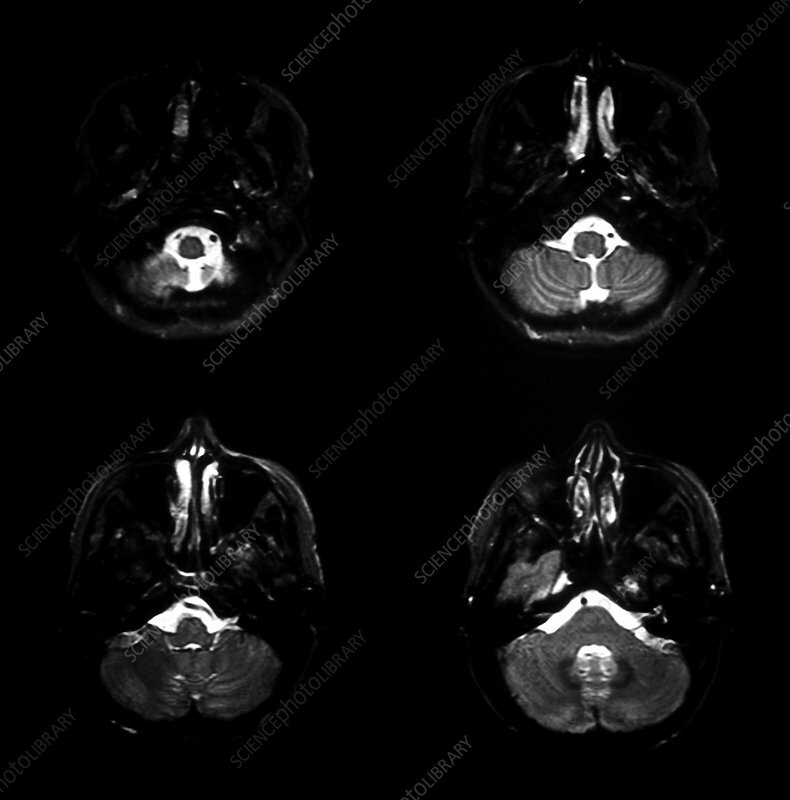 This composite of 4 axial (cross sectional) MRI images reveals thin, subtle hypointense (dark) lines along the surfaces of the brain. This represents cortical siderosis and is secondary to multiple episodes of subarachnoid hemorrhage. Siderosis can result in sensorineural hearing loss.